Are you excited for the beloved Rose Festival in Portland? It starts today! Excited For Portland’s Annual Rose Festival? It Starts Today! I’ve booked my tickets for the Portland Rose Festival, have you? Guess what? The Portland Rose Festival starts today! Portland, which is also popularly known as the ‘City of Roses’ due to the climatic conditions being well suited for growing them, throws the biggest rose bash of the year in the form of the Annual Rose Festival. And this time around it is going to be bigger and better than ever! This year, the festival is going to have more than 60 events. Yes, you read correctly – the number is 60! Parades, carnivals, races, fun and frolic – there are going to more of everything in 2017’s annual Rose Festival in Portland! The festivities will begin this evening with awe inspiring fireworks. You will need to purchase an access ticket which you can do in the CityFair. The ticket will give you a pass to free rides, food, live music, Portland’s favorite beer and so much more. Excited? Book your ticker right-away! Also, you will get to experience illuminated floats in the Starlight Parade that will be held in the evening. 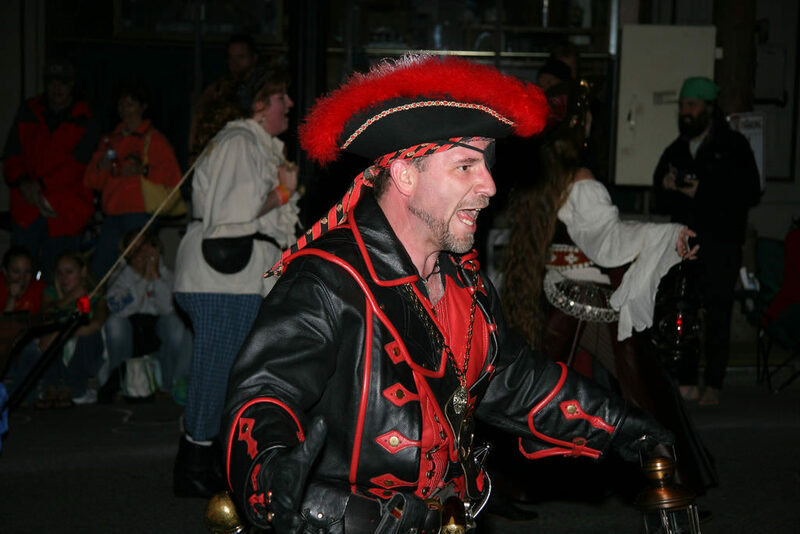 Drummers, derby teams and Portland’s famous Zombie Walk – you simply won’t get enough of it! 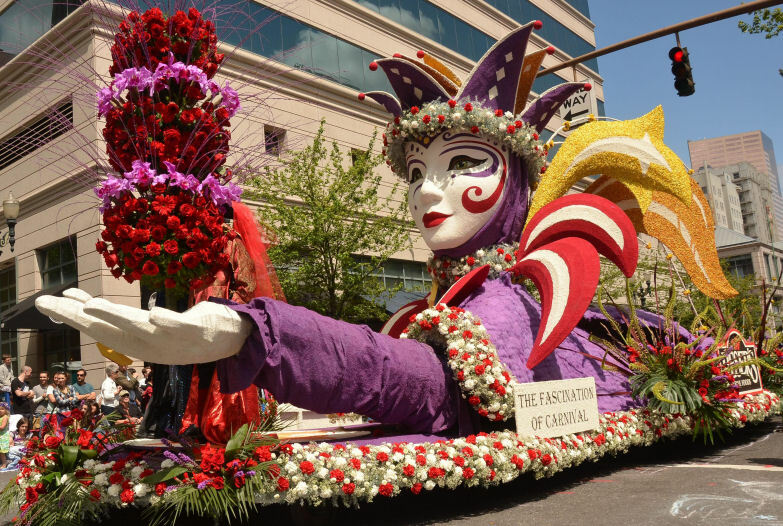 And what about the event that stands as the hallmark of the festival – The Grand Floral Parade? Starting from the Memorial Coliseum, traveling across the Willamette River and crossing the Downtown region, the parade is going to incorporate 18 marching bands, 19 equestrian units and 20 all-floral floats! Another integral part of the fest is the Portland Rose Society Annual Spring Rose Show. 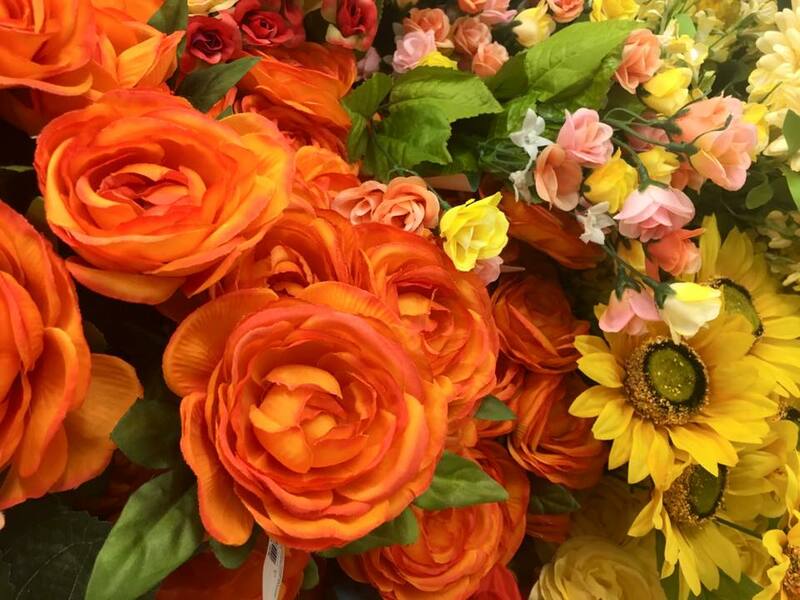 The nation’s largest rose show will bring more than 4,000 different varieties of flowers to you at the Lloyd Center Ice Rink, where you can enjoy these aromatic delights. 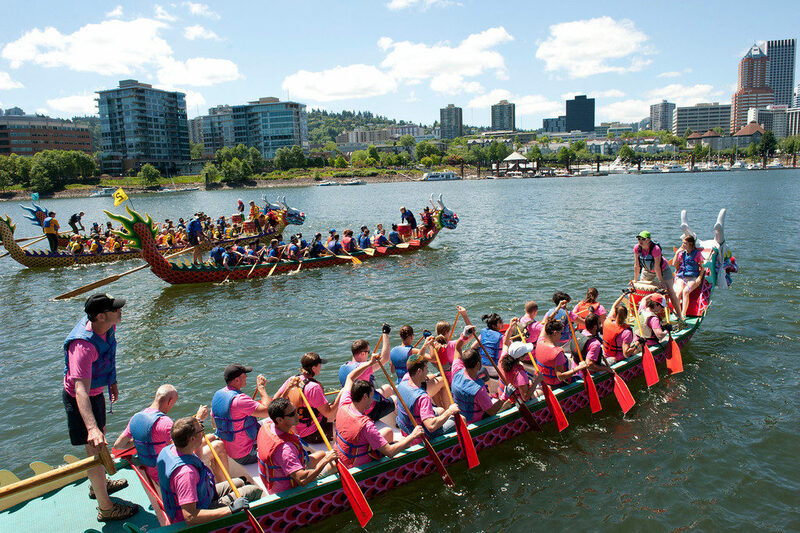 If all that were not enough, there will be the annual Portland Rose Festival Dragon Boat Race as well! In this year’s race, there will be more than 80 national, international and local teams competing. The boats for the event are provided by the Portland-Kaohsiung Sister City Association. The City of Roses has plenty of surprising things in store for you at the annual Rose Festival. Come, be part of it and have a great time. 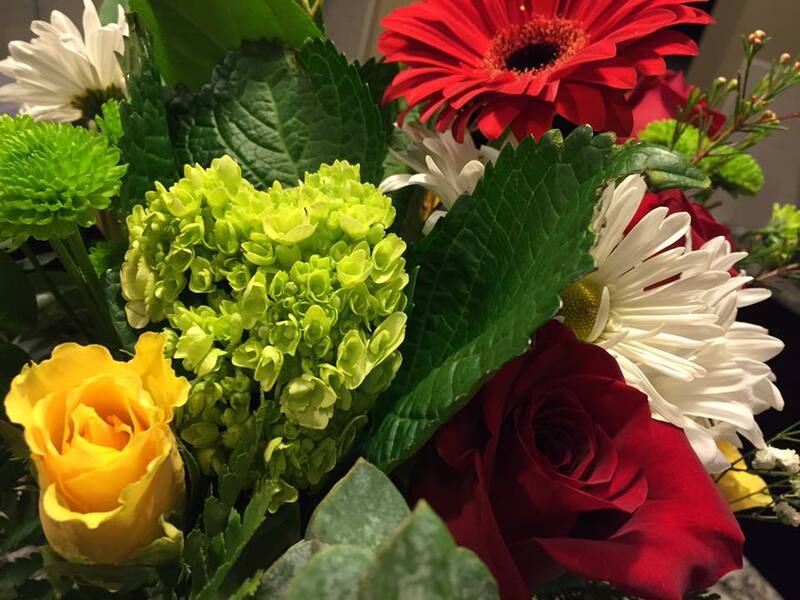 And, while you are enjoying the merriment at the festival, don’t forget to take time out and smell the roses (literally!). They are absolutely majestic! So, what’s the wait? Get there and be a part of it all! 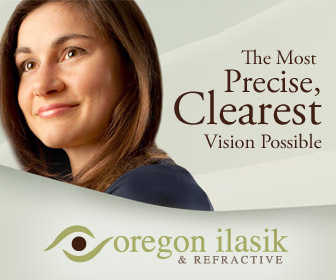 Brace Yourself For An Exciting Weekend At St. Johns, Oregon!